At the recent Microsoft World Partner Conference in America, Microsoft announced they had reached the Technical Preview milestone of the Office 2010 suite. So what is Technical Preview? Technical Preview is also known as beta 1, so Microsoft have now got Office 2010 suite to beta 1. Which is great but what’s different, do we need another version, is that annoying Ribbon still at the top (I hear your cry…)? Well yes that Ribbon is still there and I love the ribbon even more now its in all the Office applications. So Outlook and Publisher have the ribbon along with OneNote. 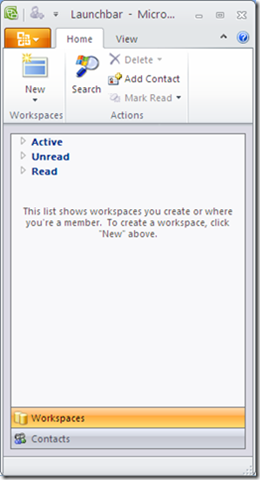 Groove has now turned into SharePoint WorkSpaces 2010, and will become not just a document collaboration product but also a offline tool for your SharePoint lists and libraries. Now students will be able to take any announcement that have gone on in classes sites and view them at home should they have no internet connection. 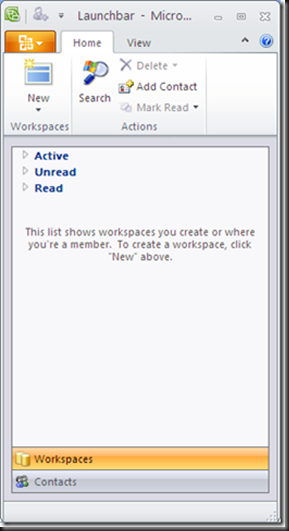 Out of all the 2010 products my favourite feature so far is the ‘Quick Steps’ which is available in the middle of the ribbon in Outlook. You can create rules that once clicked will open new emails with certain people in the To: field or will move the emails highlighted to the folder you want. I found that it even created some of the ‘Move to’ folders for me as it recognized what I was doing. This has saved me so much time! Other than that we don’t know much about Semblio. We look forward to seeing more of this.